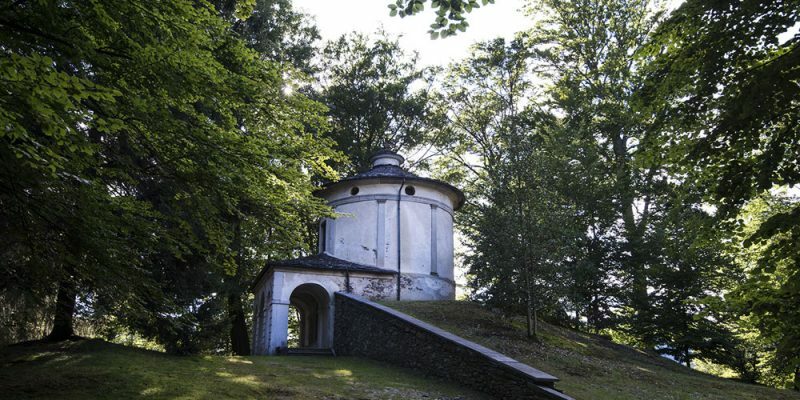 In 2003 UNESCO certified the nine Sacred Mounts in Piedmont and Lombardy, each on the one hand a devotional destination and on the other a superb Renaissance work of art of great value and interest, an open air artistic phenomenon with an evocative name and spiritual theme, the Great Mountain Theatre. In the distant 16th century the Sacred Mounts undoubtedly had a didactic role with the specific aim of spreading the Christian Word and the story of Jesus Christ and the Saints. The Sacred Mount of Orta uses its 20 chapels and their elegantly austere Renaissance architecture set in a magnificent pine wood park with gorgeous views over the stone roofed village to tell the story of St Francis of Assisi. Frescoes set the scene and the atmosphere while the life sized colored statues seem to act out his life on a great natural stage.